A custom wine cellar with bistro seating; an elegant den with built-in library walls; an electric steam-room in the master bath; a billiards room with a fun, retro wet bar; a custom closet as big as a bedroom…homeowners dream of the special features that set a home apart and make it extraordinary. Much of the time, though, dreams of luxury go unfulfilled because the pocketbook is out of sync with aspirations. 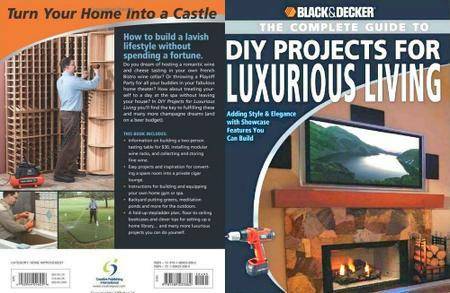 But in Black & Decker® The Complete Guide to DIY Projects for Luxurious Living, readers discover the bridge over the gap between dreams and reality – their own labor. 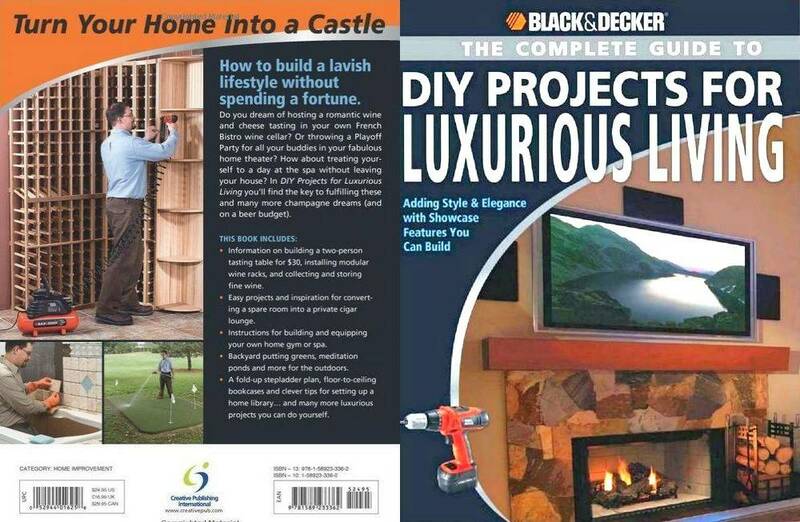 This book is a collection of high-end home improvement projects to give homeowners the satisfaction and pride of having features normally found only in luxury, designer homes. At a fraction of the cost, any homeowner can create the kind of features that friends and neighbors will envy, along with the satisfaction of achieving this through their own skills.